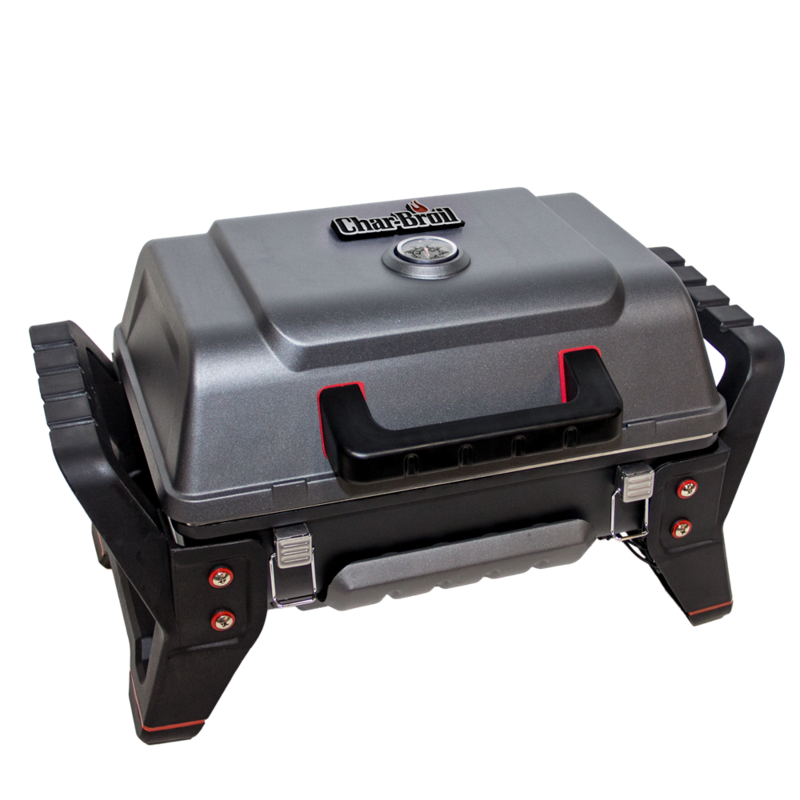 Looking to take your gas grilling on the go? 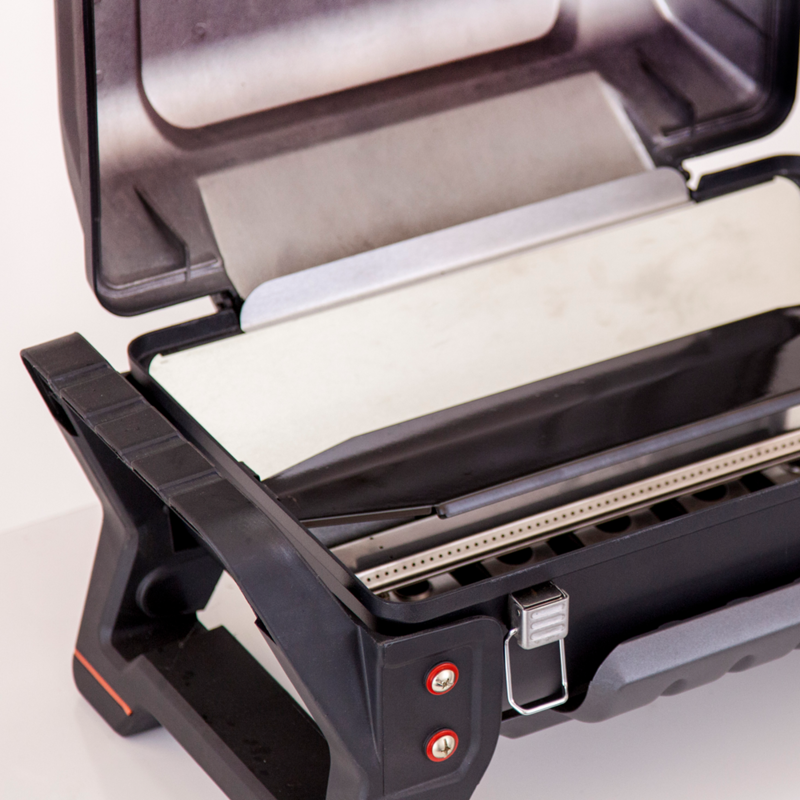 Look no further than the Portable Grill2Go® X200 Gas Grill. 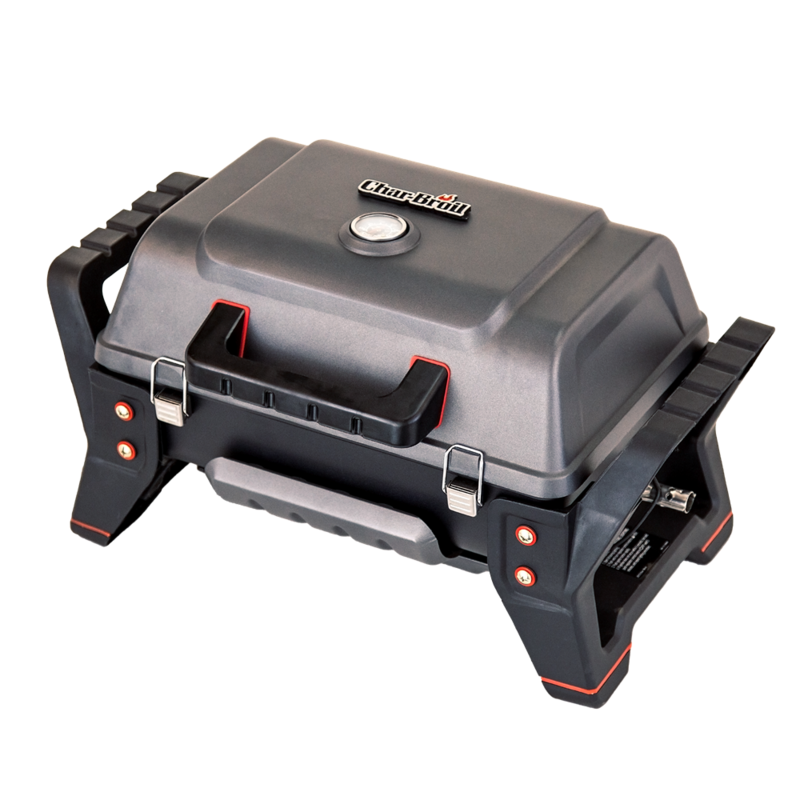 Features include a durable die cast aluminum construction, push button ignition, lid-mounted temperature gauge and the TRU-Infrared cooking system for no flare-ups. 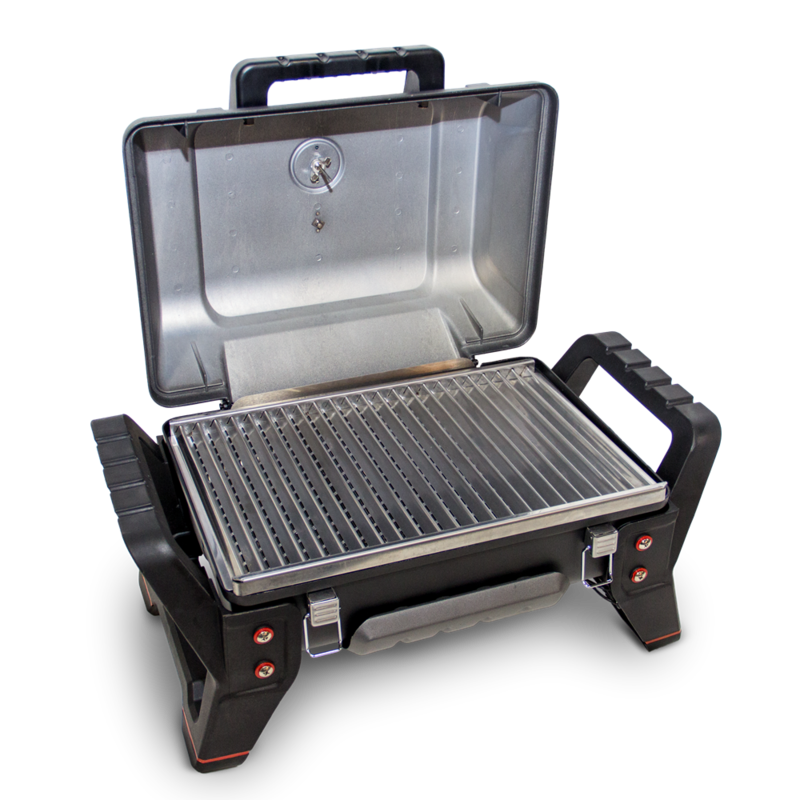 It’s designed to be sturdy and convenient, so you can set up your grill with you when you’re tailgating, camping or on the beach. 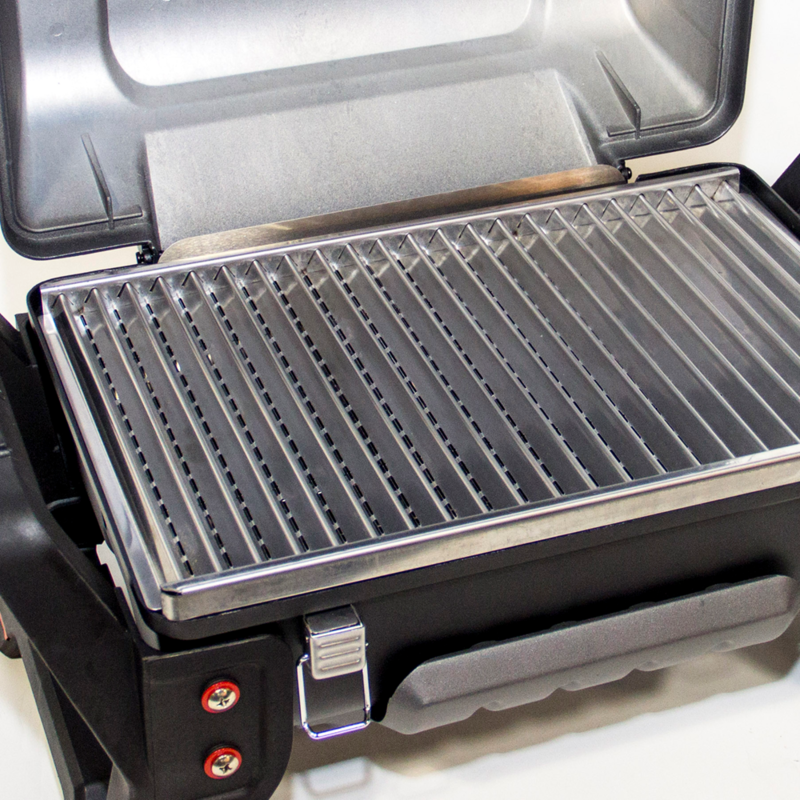 Stainless steel cooking grate is large enough to fit 12 hamburgers. 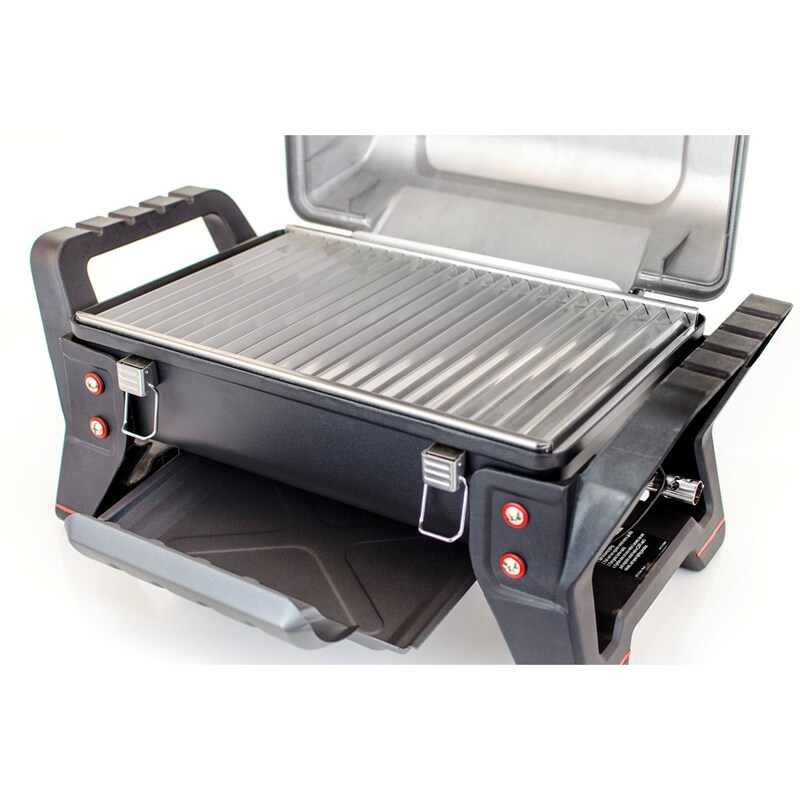 A portable gas grill designed for camping, tailgating and grilling on the go. 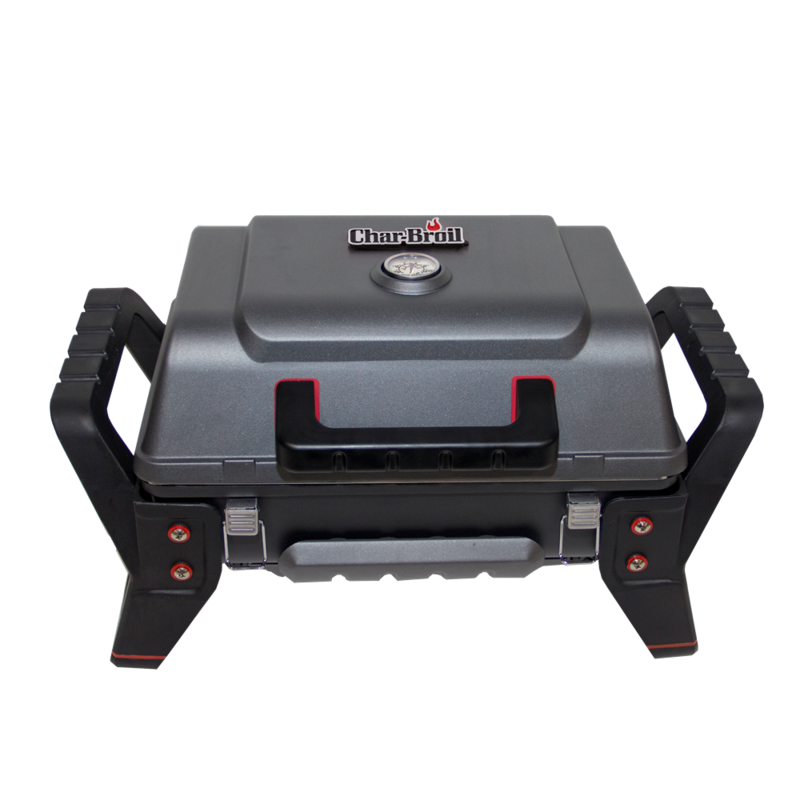 Compact size and weight, with a latching lid. 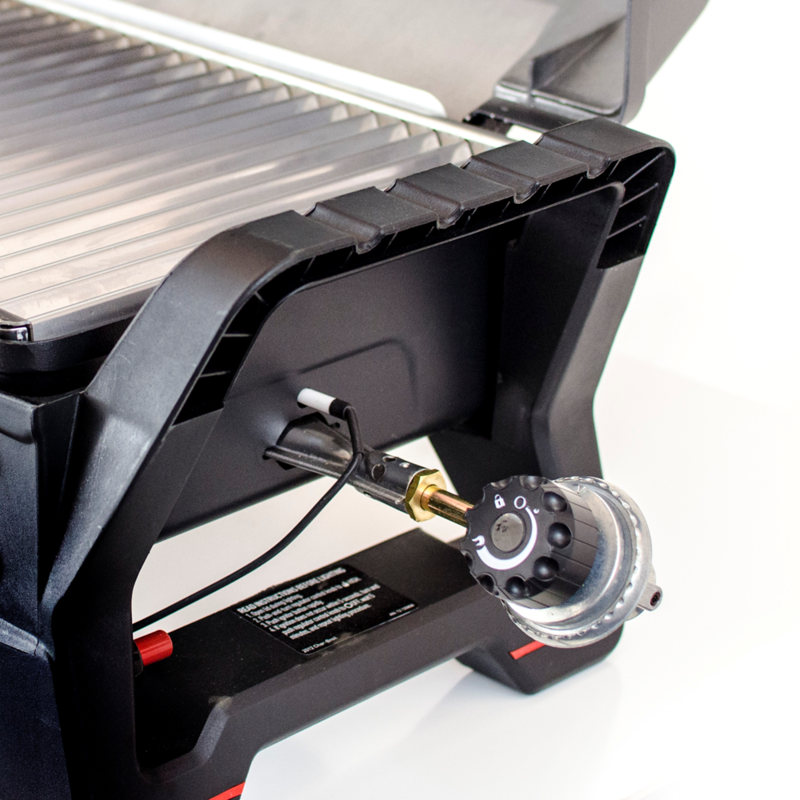 We've got you covered for 5 years on the burners, firebox and lid. And all other parts are covered for 1 year. 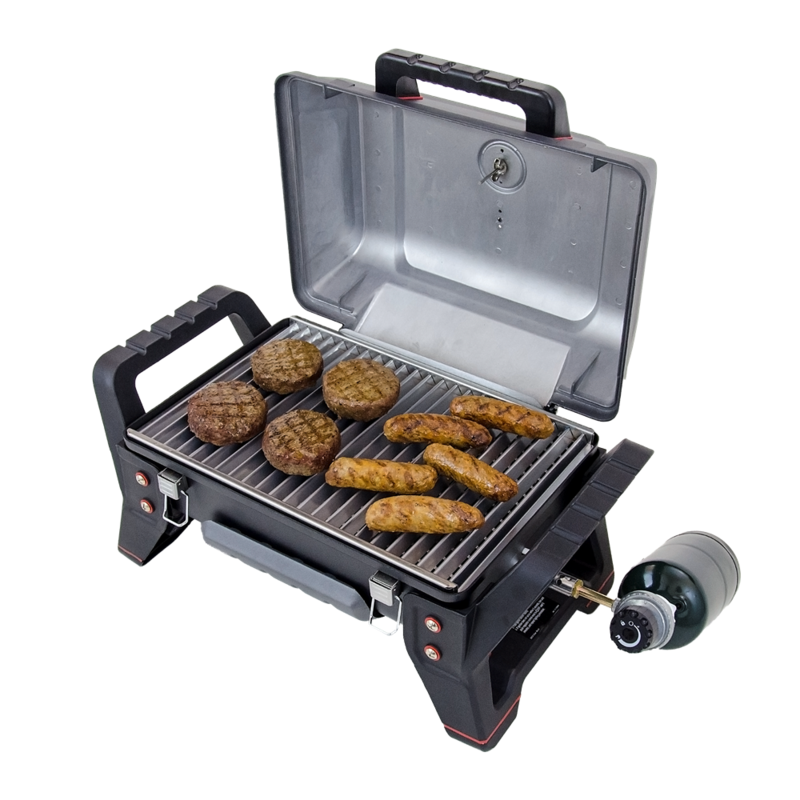 Easily convert this portable grill with a hose and adapter (sold separately) to use a standard 20 pound propane tank.